Welcome to Walk With Me! You’ve taken the first step to change the life of a child served by Easterseals. Join the thousands of Independent Business Owners (IBOs) that have walked in support of Easterseals. The more funds raised by you and your teammates, the more impact we can make on peoples' lives through Easterseals. 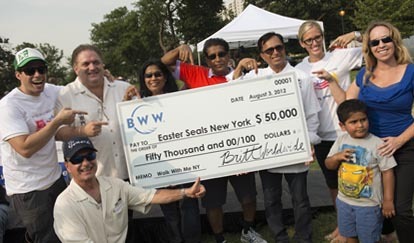 Since 1983, Amway employees and IBOs have supported Easterseals through the Amway One by One Campaign for Children. The corporation, employees and IBOs have served as champions of Easterseals by serving as volunteers and board members and by raising millions of dollars in support of programs and services for children and adults with disabilities and their families.